Perhaps you, or someone you love, has taken The Beck Depression Inventory. It’s a very well-known questionnaire, that’s often used to determine if someone meets the criteria for depression. It’s self-scored. It’s easy to understand. It covers the mental, emotional and physical aspects of depression, and even quantifies just how depressed you might be, dependent on your answers. Often, people who are moderately depressed don’t realize how slowly the lights have gone down on the joy or satisfaction with their life. They can’t see how much they are struggling with negativity, irritability or sadness. They are blind to the many ways they’re isolating from others, or beginning to pull into themselves. Depression can happen so slowly you don’t realize how hard life has become. Then it’s shocking one day when you start to imagine your own death — or some kind of escape from the world you’re living in. If given an inventory, your answers surprise you as they reveal how dark your life has become. Depression has entrenched itself into who you are and how you think. It’s taken you away from the ability to see opportunity, realize options or focus on others. It’s all you can do to function. But you do. You make yourself. You have responsibilities. You take your kids to school, but go back to bed. You go to work, but can’t focus. So you give people excuses why you’re not meeting a deadline. You are constantly berating yourself for what you aren’t, what you haven’t accomplished, or who you could have been, if given the chance. This is depression. If severe enough, you lose your desire or ability to function at all. The good news is that often you can get better. With exercise, therapy, medication, mindfulness, and hard work, many can lift the veil that has cut them off from the enjoyment of life. Some struggle more than that, and have to learn to manage chronic symptoms. That’s a very tough way to live. So how is Perfectly Hidden Depression (PHD) different from any of this? 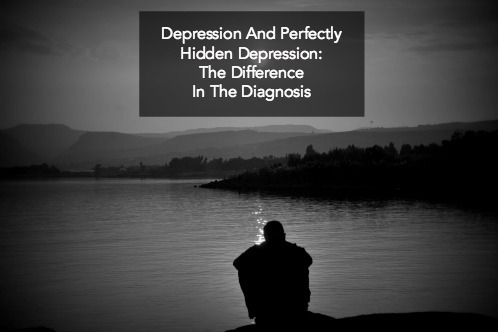 Perfectly Hidden Depression is a term to describe a syndrome, or a set of characteristics and behaviors that enable people to hide or detach from emotional pain. That doesn’t mean the pain isn’t there, or that it’s not having an effect. People doing all things to the best of their ability, all the time, every day. Pushing themselves to the limit. Putting others before themselves, believing that a focus on self is selfish. Living very deliberately, getting things done, accomplishing the seemingly impossible. Ignoring the memories of hurt. Avoiding revealing too much about themselves. Laughing off extreme fatigue. They don a mask of happiness every day, that they may even have come to believe is the real thing. Others admire and tell them what a great life they have. They are invested in maintaining that image. The Beck Depression Inventory would never reveal PHD. Because whoever was taking it, would know someone else would see their answers. That’s not acceptable, or so they have told themselves. While someone with classic depression may struggle to admit it, or may fear they will be stigmatized if they do, they’re more likely to be honest about what they’re experiencing. They have to — the symptoms are choking the life out of them. Only when life starts becoming too complicated, when their sense of panic about things getting out of control starts rising, are they likely to consider revealing who they are, or attempt to confront what they’ve been telling themselves. Because sometimes someone with PHD will wait too long. They will want to end their life, and no one even knows they need help. The loneliness can become unbearable. 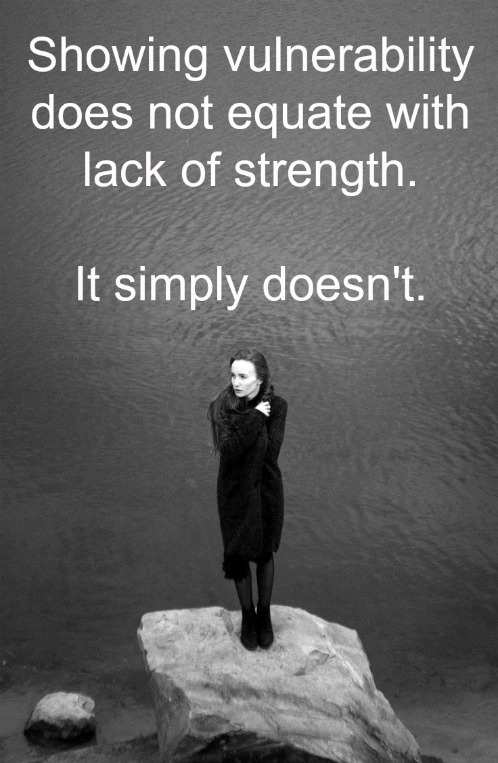 Because showing vulnerability does not equate with lack of strength. It simply doesn’t. Because although many of the things that someone with PHD focuses on are admirable, being invisible hurts. No one needs to hide. You can now listen to my new podcast, SelfWork with Dr. Margaret. Head on over by clicking here. Learn more about PHD and other topics. Thanks! Thank you for your help in reading and sharing this message. If you would like to take a questionnaire on PHD or read more about it, click here. Subscribe and you’ll receive one post per week in your email, as well as my eBook, “Seven Commandments of Good Therapy,” a guide on how to evaluate a potential therapist or your current therapist.